Cambodia was another enchanting country in South East Asia. Sadly I did not go to many cities here but couple of cities that I visited was good places to start the Khmer experiences. 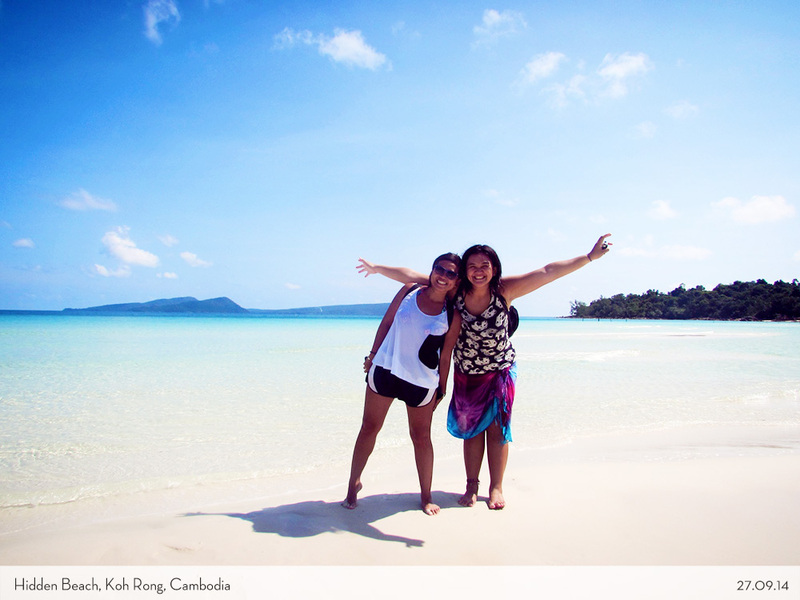 I have compiled my Cambodia Travel Itinerary back then and I hope it can help to plan yours! The most serene, fast, and empty border that I ever walked on. Not many people use this route apparently.. Arrived at the bus station and got ourselves tuk-tuk the Sihanoukville centre. Spent one night and just booked the easy guesthouse around the corner. Walking around the city and tried to find the tickets to get on the public boat to Koh Rong. Koh Rong Dive Center use the name Speed Ferry Cambodia to run the daily boats from Sihanoukville to Koh Rong Village Pier. The tickets cost $20 open return and it only take 45 minutes to get there. Sihanoukville to Koh Rong: 9 a.m., 11:30 a.m., and 3 p.m.
Koh Rong to Sihanoukville: 10 a.m., 12:30 p.m., 4 p.m.
Cross by the boat again to Sihanoukville where we found the bus to reach Phnom Penh. Apparently there are couple of ways to get to Phnom Penh, you can take the bus (7-12$), mini bus (10-15$), or book a taxi (90-100$ per car). The journey will take around 4-6 hours. I recently read about the train to Phnom Penh, but do not have valid information yet. We have spent almost a week in Phnom Penh mainly because we need to rest and clean up ourselves from long travel time. 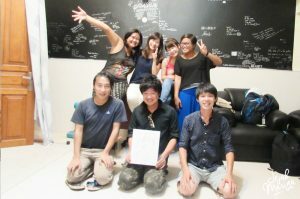 Our Couchsurfing host was incredibly kind! 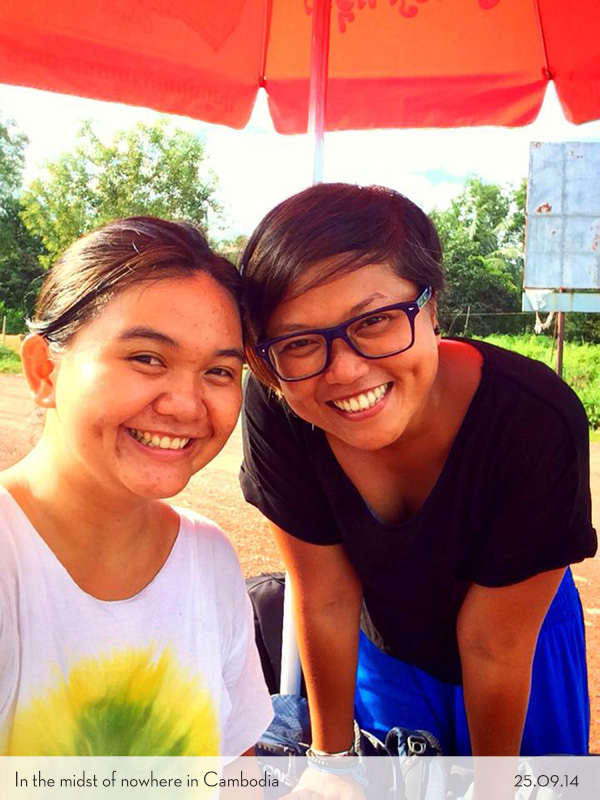 And then, we finally spent 3 days exploring Phnom Penh. Took the night bus from Phnom Penh to Siam Reap which cost around 13-15$ one way, and we arrived super early morning in Siam Reap (7-8 hours). There is also another option by using the mini bus which cost around 15-20$. Using the boat of Mekong River is another way to go and pretty interesting! (I want to do this one day too) Plane and taxi is another options to go, but you know that it will cost more. And the view of Cambodia is so much better to see by land. Once we arrive, we looked for the guesthouse and contacted tuk-tuk driver that Arma knows of to start the next day exploring Angkor Wat. You should do the same, try to find a reliable tuk-tuk driver or contact our driver that we had before. Read more about it here. The next day we had our sunrise as the start of Angkor Wat tour and then we had amazing big loop tour on the next day. Read the quick guide of Angkor Wat here. Got on the bus to Bangkok from Siam Reap to Bangkok which cost around 28-30$ (expensive I know), for 8-10 hours on the road. Other way around is by plane or mini bus. If you went through by land, Poi Pet is the most famous land border of Cambodia and Thailand that were crowded with so many tourists. Took us almost 1-2 hours just to get passed the immigration. 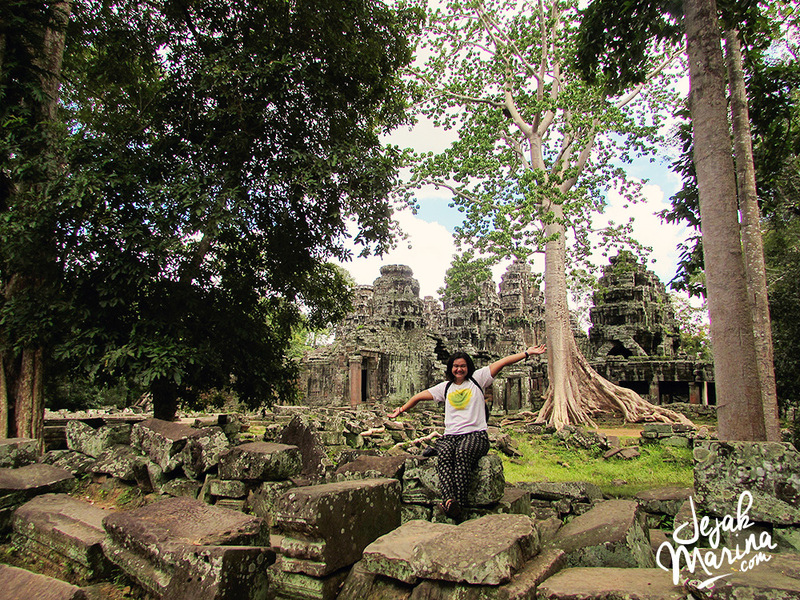 2-3 Days: Angkor Wat is the best place you can spend in Cambodia in a zip! You can try to fit in 1 or 2 days, but you will not have much to see. 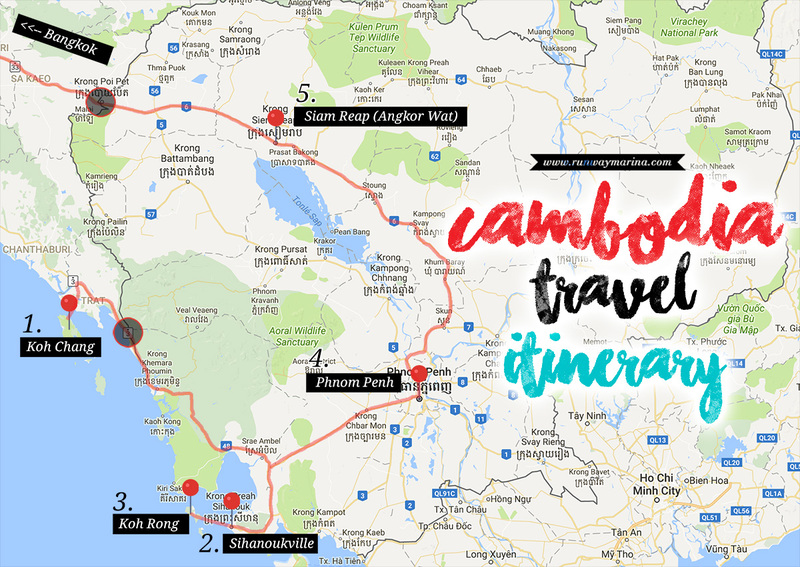 Travelling across Cambodia is easier to do by train and bus, although it can be super tiring as the most beautiful area located far away. That’s why your time will be spent too long on the transportation. Nonetheless, I think the view on the road are spectacular! Lots of tour and tickets booth that sells bus ticket to the other cities. You do not need to book via online (cos it’s super expensive!). So just come one day before and make sure the place is secure for you. To get by train, it s better to show up one day before and buy the ticket directly from the train station rather than buy it from other booth. Cambodia night bus can be pretty not comfortable, so bring eye mask and stock food with water. Always check if you ever need a visa to cross to Cambodia. Make sure you will not stuck in the border. Use the transportation that fitted within your budget and your adaptation of comfortness. If you need to use tuk-tuk, always bargain first with the driver!